What drives our users mad and in which areas can we boost up their pleasure? This is where the Customer Journey Mapping comes pretty handy. We all want our users to be happy. This is (or should be) the main goal for any UX Designer. But juste like in Inception – to achieve it we need to go deeper. We have to understand how and when users interact with our product. To understand your users is to understand how they think. With UX tools such as surveys or web analytics, we can have a glimpse into users’ mental models, but often it is not enough. What are Mental Models? They are user’s believes about the system. These are not hard facts and raw data, rather thoughts and emotions. Understanding how these models look and work is a fundamental job of any good designer. This article will help you understand what is the Customer Journey Mapping, how to make it and use it. It is safe to say that we are glued to our phones. We demand seamless interactions with our environment. Every other day we need to pay for groceries using a credit card, another time we need cash while having only a mobile. Toggling offline and online solutions has become a direct reason for the creation of hybrid touchpoints. Focusing on them should be the main goal of any customer-oriented, modern business. In today’s world omnichannel communication is a must. With the evolution of mobile technologies, our Customers started to demand not a single solution, but the entire ecosystem. They use several devices in multiple different ways, sometimes even at this same time. Now imagine: user starts with searching for information on his desktop, save it in “read later” app, takes mobile, gets up and goes to the bathroom while reading the saved article. 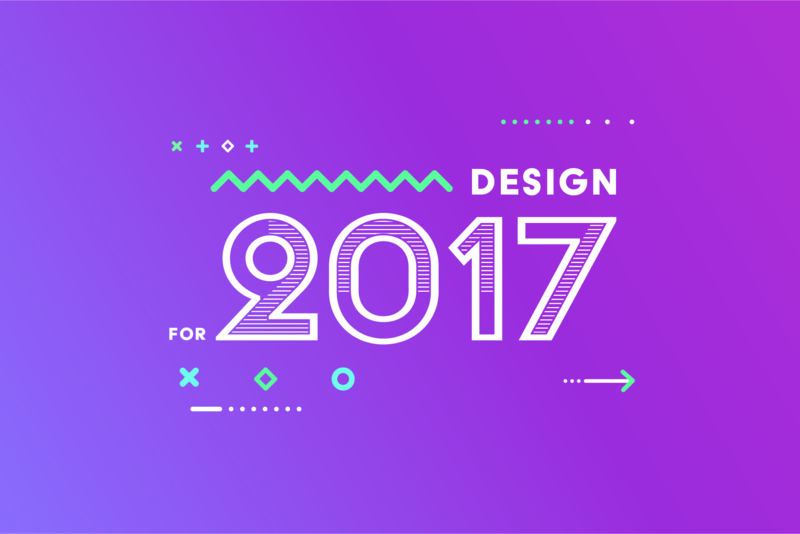 The biggest challenge for designers is to diagnose all touchpoints, both offline and online, and map feelings attached to them. The first time user thinks about launching your application is already a touchpoint. And this might happen while being sick, during a party or being angry when a bird left droppings on his car. The fastest way to improve Users experience is by mapping their journey. It is a perfect mix of visual arts and storytelling. CJM method allows you to identify all touchpoints, emotions, and motivations that drive user before, during and after actual use of your product. Customer Journey Map helps you to understand needs of users. With it we can easily diagnose pain and success points. Thanks to CJM we are able to build stronger loyalty and attachment to the brand. Mapping helps removing obstacles which make user stressed, and in the meantime strengthen good feelings while using a product. CJM provides you the full context of product use cases. You can focus on specific channels of the communication strategy. For example, the very first moment when a user thinks about our health care app is the moment he starts to feel sick. Making our application really easy to use is crucial for user’s overall feeling in connection with your business. We can make journey maps as detailed as we need it. If you are working on the new organizational scheme with Client-centered orientation, you should focus on every possible online and offline touchpoint. But we can use it with a more specific problem, such as the long online buying process or lack of the registration form. Smaller problems can significantly affect the level of a customer satisfaction, which moves on loyalty to the brand. And loyalty directly translates into the organization’s financial result. However, you should remember to not dive into extremes and avoid too much detail. The map will become unreadable and the process will be more confusing. Be like Hobbits. Establish a team. 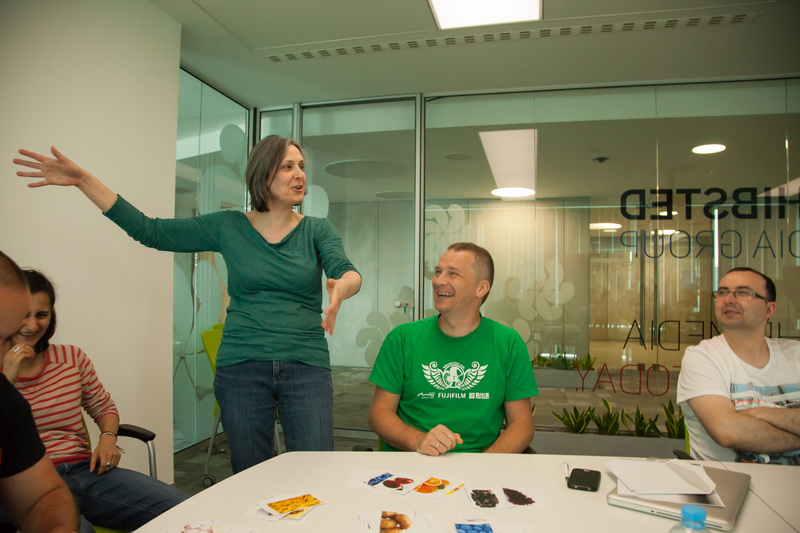 Customer Journey Mapping is a perfect group workshop tool. It allows us to see different points of view – each member of the team can have a different understanding of the problem. I would recommend to try working in a multidisciplinary enviroment, to gain the broadest feedback and as many POV as you can manage. To remember: For a group larger than 9 people it should be an additional facilitator in the room. CJM is also a good tool to set strict mindset on a team or company goals, to make a full understanding of a Client’s needs or to strengthen communication in work. There is no one good way to make a perfect journey map. The most popular way is by using post-its pinned to the timeline (which in most cases takes whole office wall). The conclusions from workshops are digitized and often presented as in the linear or circular diagram. The first step is to choose a Persona, our Clients model representation. We will focus solely on his path and individual user story. To remember: Decide on one detailed user story. All alternative scenarios should be mapped separately. Keep in mind that big complexity of the map will affect it’s readability. Once we know our Persona it’s time to focus on the journey itself. Write down every step of Clients path while using your product or service. One step, one post-it. Easy. 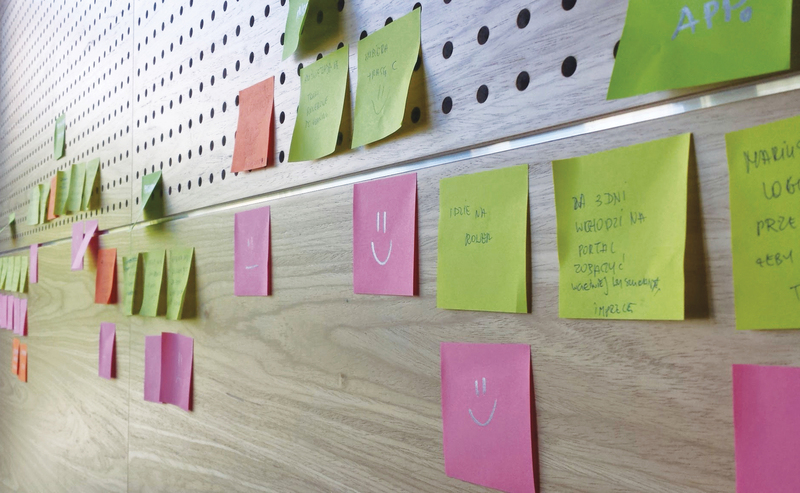 To remember: Focus on customers perspective, and to write down each step on one post-it. For example, if you want to make a journey mapping of a restaurant experience, the first step will be a moment when your Customer feels hunger or is planning some evening activities with friends. He will choose a restaurant that correlates with his needs. It is a good practice to add touchpoints or channels of communication at every step. 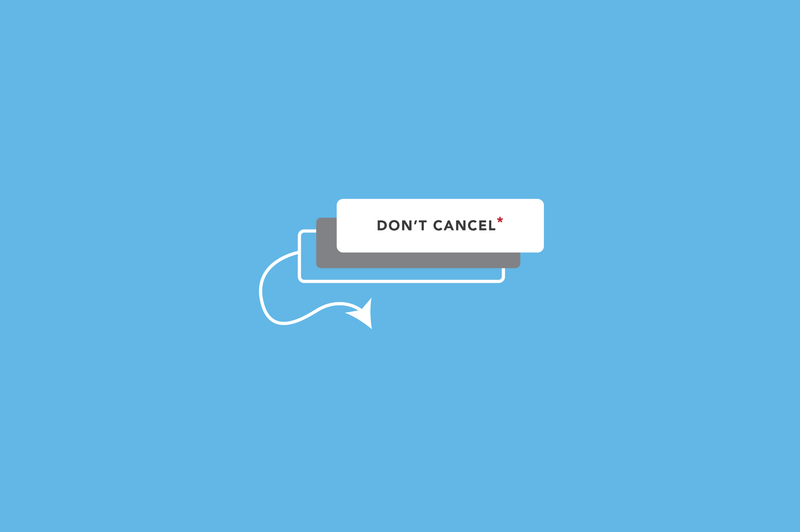 It helps to focus on channels that we should adjust later for a better experience. Now it is time for feelings and motivations. It will show users’ pain or joy points which we should work with. 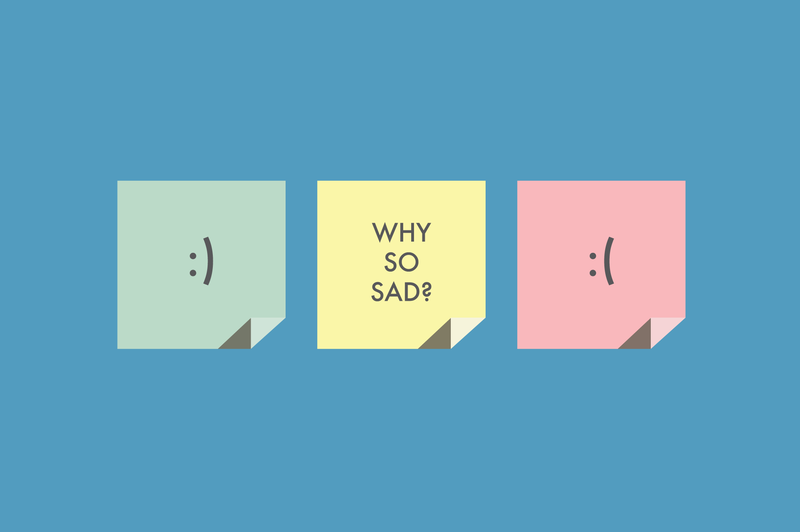 On separate post-its in a different color then previously, write down what your Client thinks at every single step. Add the values from -2 to 2, where -2 is the worst feeling and 2 is happiness. After connecting dots on the XY matrix, you will receive a visualization of the path with all pressure points. Once you make a customer journey map, remember that it is not graved in stone. Like in any company, Clients or technologies might change and it’s the same story with CJM. It is good to open it once in a while to see if there are new growth opportunities for your product and your company. The finished map gives you a great background for ongoing analysis or setting strategic decisions. 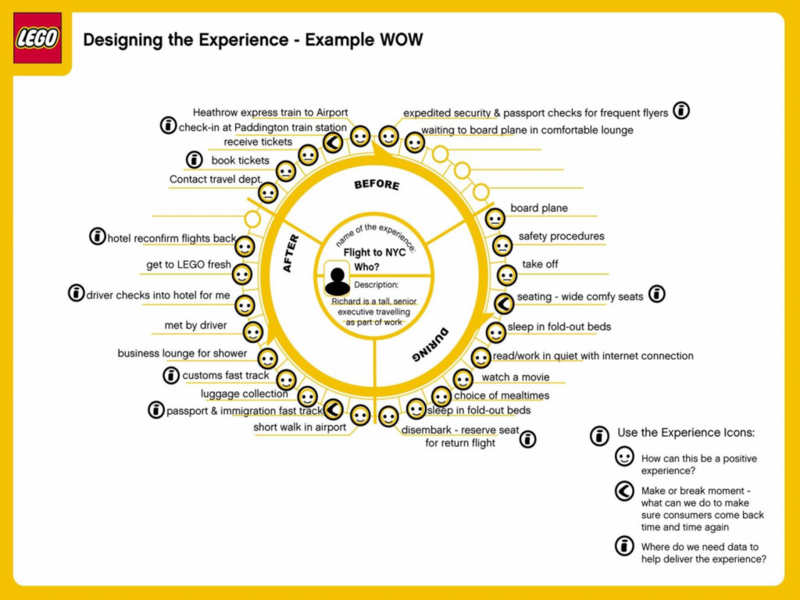 Customer Journey Mapping is also a handy tool for company audits or onboarding new employees. It helps management to pick up the shortcomings in your communication channels, or lack of integrity between departments. It unifies thinking inside the organization, putting the client and his needs in the first place. So you’ve reached the end? Let’s end the article with a cool bonus – a PDF document that will help you to get through Customer Journey Mapping. Good luck!